Cloudy with showers. Thunder possible. High 67F. Winds SW at 10 to 15 mph. Chance of rain 60%.. Considerable cloudiness with occasional rain showers. Thunder possible. Low 42F. Winds W at 10 to 15 mph. Chance of rain 60%. Whether you’re baking for your kid’s class, looking to surprise your significant other or seeking a fun recipe to cook up with the kiddos this Valentine’s Day — this is the dessert for you. 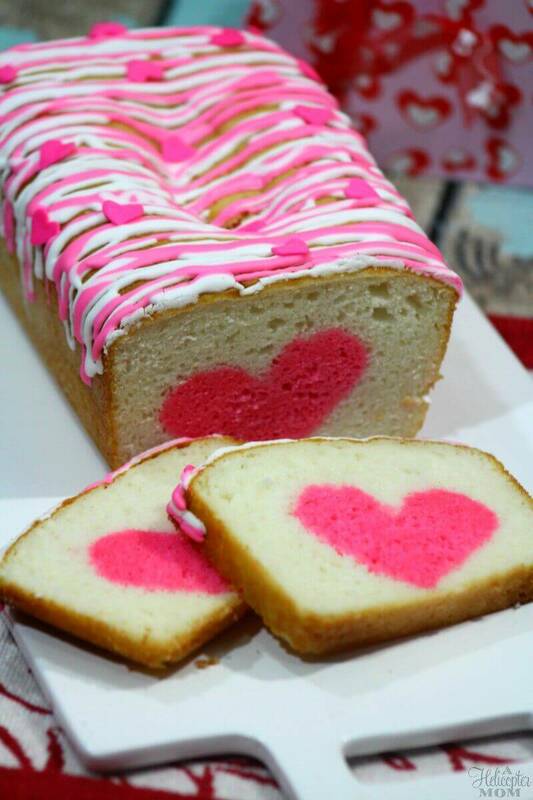 What looks like a traditional vanilla loaf cake at first glance gets topped with festive icing and then sliced up to reveal a surprise: a pink heart shape right in the middle. Not only are the strawberry-flavored hearts adorable, they’re also delicious. And this festive cake is not that difficult to make! The recipe from A Helicopter Mom walks you through the steps of baking and assembling this Valentine’s Day dessert. You’ll start by preparing the strawberry-flavored cake, which calls for strawberry extract and pink gel food coloring to create the pink color and sweet strawberry flavor. This will be baked as a normal loaf cake, but once it’s had time to properly cool, you’ll slice the cake and go in with a heart-shaped cookie cutter to get the perfect shape to fit inside of the vanilla loaf. Once you’ve got the heart cut-outs ready to go, you’ll make the vanilla cake batter, and then it’s time for the very important assembly step. Place your heart cut-outs in the loaf pan so that they’re standing upright, one after the other. Then, situate the vanilla cake batter around them as you pour, covering the bottom of the pan and pouring batter between each and every heart slice. Finish by completely covering the hearts with the batter. Everyone (yourself included) will be excited for the big reveal of the heart-shaped center! 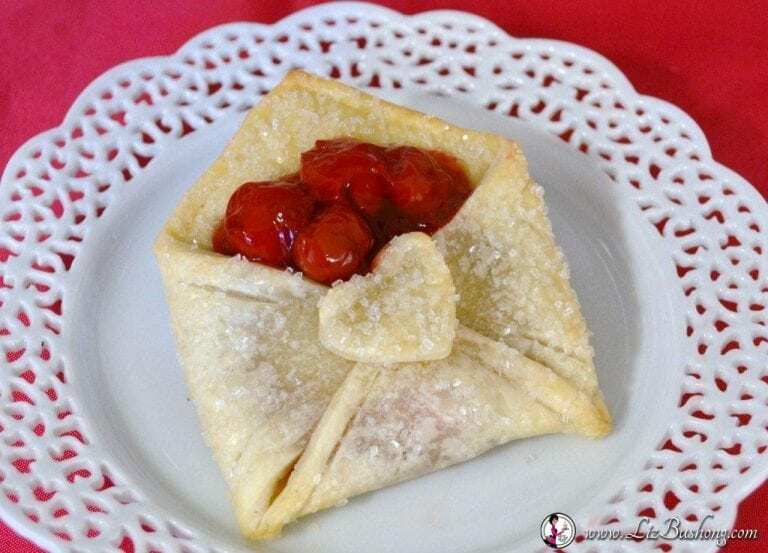 If sending love in dessert form is what you’re aiming to do for the special people in your life this year, you’ll also want to check out this recipe for cherry pie “envelopes,” this Valentine’s Day. You can find the full recipe on the Liz Bushong website. Whether you’re surprising folks with a heart-shaped cake center or sending love in the form of edible envelopes — there’s no wrong way to show you care through homemade tasty treats!